The 4/20 Fair, held in East Bremerton every year, is hosted by the 420 Annex. For 4/20/2019, the Fair will be bigger and better than ever! Join us and the rest of your Best Buds for food, drinks, live music, games, prizes, raffle drawings, scavenger hunts, photo booths, and more. We hope you’ll be joining us and the rest of the Kitsap Cannabis Community for this special Cannabis Culture Holiday. Join us and the rest of your Best Buds, this April 20th from 1:00-6:00 pm, for live music, food, drinks, games, prizes, raffle drawings, scavenger hunts, a photo booth, and more. Conveniently located in East Bremerton. Our friends from Pacific Cannabis and Fillabong will be participating in this year’s scavenger hunt, they’ll also be joining us at the fair where they’ll have a booth set up with some games to play. We Need Judges For The 420 Gold Cannabis Cup! If you’ve ever wanted to be a judge at a cannabis competition, this is your chance! The 420 Annex needs judges for the 2019 420 Gold Cannabis Cup! Stop by Destination HWY 420, in East Bremerton, and pick up a Q/A form to be eligible to become a judge. If you’re an astute cannoisseur, a critic of fine herbs, or an experienced stoner with a finely tuned palate, we want you to be a judge for the 420 Gold Cannabis Cup. The 420 Gold Cannabis Cup marks the pinnacle of excellence, for the most exquisite cannabis products available in Washington State. To be a judge for the 420 Gold Cannabis Cup, come into Destination HWY 420 and pick up a Q/A (quality assurance) form. The Q/A form is the matrix for rating cannabis products. Once you have a Q/A form, you’ll need to fill it out, by rating cannabis products in several metrics, as well as writing a short description that includes additional details such as the effects you experienced, how smooth the product was, what the flavor tasted like, and more. Once you’ve completed three product reviews, bring the Q/A form back to Destination HWY 420 and hand it off to one of our Budtenders. When we’ve received your completed Q/A form, we’ll give you a ticket, and place your paperwork into a drawing bucket. The 420 Annex will be conducting the drawing to select the Judges. The selected Judges will be notified by April 17th if their names were drawn. The 420 Annex will compile all of the judges results and announce the winners at 4:20 pm at the 4/20 Fair. The 420 Gold Cannabis Cup Judges will be deciding the winners of the 2019 marijuana competition! The 420 Annex wants you to become a judge! Stop by Destination HWY 420 in East Bremerton for your chance to be a judge of a cannabis cup competition! “I’m a laid back hippie dude, in a groovy way. Wish I could smoke a joint with you, on this fine 420 day. But alas, here I sit, on this glass shelf. With a doobie on my lap, all by myself. Arrrggg me’ matey, are ye ready to travel perilous roads, fight off giant Krakens, escape from pirates, and find some booty? Well, the scavenger hunt probably won’t be that extreme, but if you participate, you’ll have a chance at winning some badass gift baskets from the 420 Annex. To participate in the 4/20 Scavenger Hunt, you’ll need to stop by one of the participating marijuana retailers and pick up a “4/20 Scavenger Hunt Passport Card”. Once you’ve received your passport card, visit each participating marijuana retailer and solve their riddles. After you’ve solved a riddle, you’ll need to locate the mystery item at each store that the riddle was written about. To complete the Scavenger Hunt, visit Pacific Cannabis Company, Fillabong Bremerton, and Destination HWY 420, solve their riddles, and get a stamp on your passport card. Once you have each of these stores’ stamps on the Passport Card, bring it with you to the 4/20 Fair, and give it to the person at the check-in table. The completed Passport Cards will be used in a raffle drawing at 4:20pm. 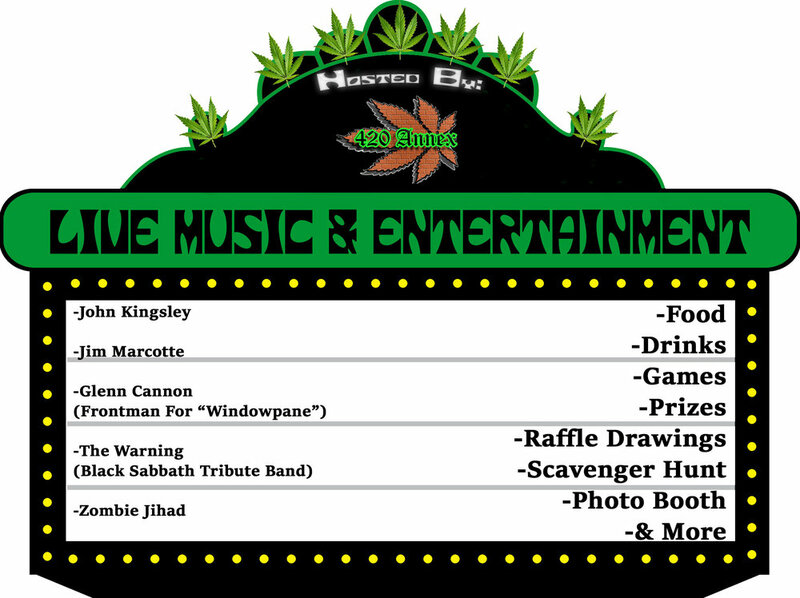 The raffle drawing winners will receive some amazing gift baskets from the 420 Annex. This is the 2019 4/20 Scavenger Hunt Passport Card. Visit Destination HWY 420, Pacific Cannabis Company, and Fillabong Bremerton, solve each stores’ riddle, and find their mystery item, for a chance to win some amazing gift baskets from the 420 Annex! To participate in the Kitsap County 4/20 Scavenger Hunt, visit Filabong Bremerton, Pacific Cannabis Company, and Destination HWY 420, solve each stores’ riddle, and find their mystery items, to be eligible to win some badass 420 Annex gift baskets! This is an example riddle from Destination HWY 420 for the 4/20 Scavenger Hunt. Fillabong Bremerton, Pacific Cannabis Company, and Destination HWY 420 are all participating in the 2019 4/20 Scavenger Hunt. To participate, stop by one of these marijuana retail stores, pick up a passport card, and solve each store’s riddle. Once you’ve completed your passport card, bring it with you to the 4/20 Fair for a chance to win some incredible 420 Annex gift baskets! The 420 Annex’s 2019 4/20 Fair is the biggest and best Kitsap Cannabis Community event in our area of Washington! The 4/20 Fair will have lots of entertainment such as live music, food, drinks, games, prizes, raffle drawings, scavenger hunts, photo booths, and more. This event is free to attend. Join us and the rest of your Best Buds for this super fun International Cannabis Culture Holiday! Destination HWY 420 is a recreational and medical marijuana retailer located in Bremerton, WA. Marijuana products in every category are available, such as: marijuana flower, prerolled joints, infused joints, blunts, standard 510 vape cartridges, Pax Pods, Airo Pro magnetic vape cartridges, edibles, drinkables, topicals, suppositories, and a large variety of concentrates to include RSO, BHO, PHO, Co2, Distillate, Rosin, Live Resin, EHO, wax, shatter, honeycomb, terp sauce, dabtella, diamonds, and more. 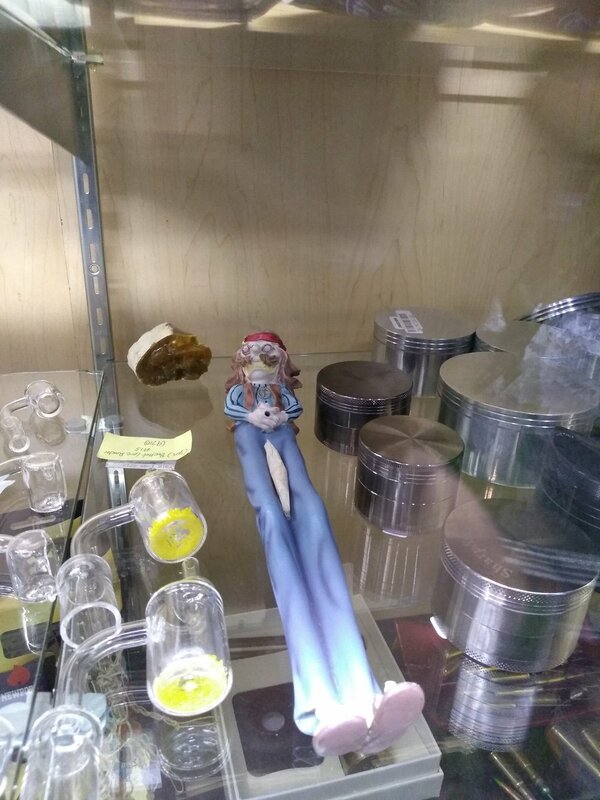 Tons of marijuana accessories are available such as: glass, silicone, wood, and stone, pipes, bongs, dab rigs, e-nails, electronic vaporizers, carb caps, dab mats, rolling trays, papers, wraps, lighters, torches, and more. The glass selection ranges from budget pieces to local custom art, some of the glass is blown in the 420 Annex section of the building. High THC and high CBD products available. Full medical marijuana consultation services available. Order marijuana online for in-store pick up. If you haven’t been in our store yet, just stop on by and let show you all the amazing cannabis products we have to offer. Our Bremerton store is conveniently located right next to Los Cabos and the Cloverleaf in East Bremerton. We look forward to seeing you all soon!